Below is a display of the data in the database for Feature BIN.WIV24, a feature in Bingham, where the adjacent parish is Wiverton Hall. 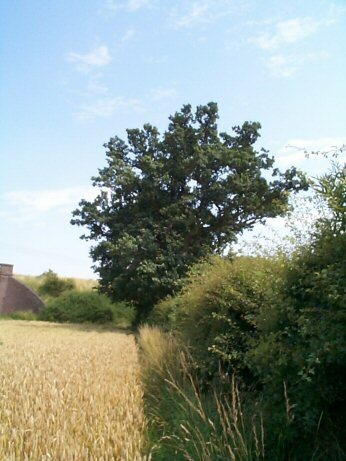 This is part of the Bingham parish boundary where oak trees had been planted for timber at intervals along the hedgerow, as shown in the photograph. Blackthorn, hawthorn, rose, small-leaved elm, oak, elder, wych elm, ash, white willow. 2.5 m high, maintained hedge, but the top not cut. Mixed with long stretches of elm. Oak as trees. Probably this is self set. Mature trees include ash and oak. Some Norway maple and cherry have been planted in the last few decades. The boundary of Short Leaz, a meadow along the parish boundary in 1586. Oak and ash trees range in age up to 170 years.